White Glove gives you money back! 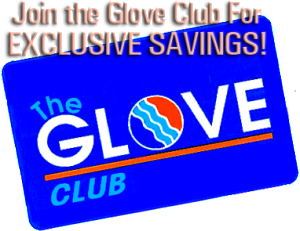 Buy $50 or more and White Glove will ADD 20% ADDITIONAL to your total purchase!!!! The 20% can be redeemed at the time OR you can even BANK it to use later on BIGGER ITEMS like HAND WAXING OR DETAILING. 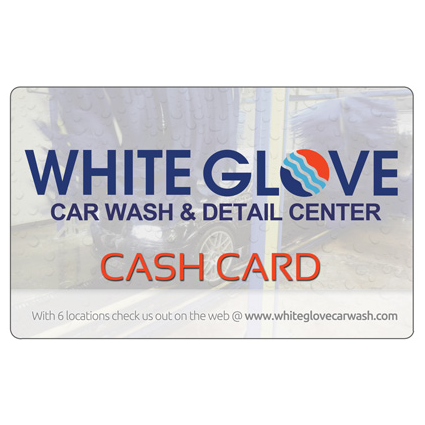 White Glove Cash Cards are refillable too! *20% cash back on your card available for new purchases or refills of $50 and up. Start Saving Now and Grab Your Cash Card Today! Purchase $60 Cash Card for only $50 That’s $10 Free! Purchase $90 Cash Card for only $75 That’s $15 Free! Purchase $120 Cash Card for only $100 That’s $20 Free! Purchase $150 Cash Card for only $125 That’s $25 Free! Purchase $180 Cash Card for only $150 That’s $30 Free! Purchase $210 Cash Card for only $175 That’s $35 Free! Purchase $240 Cash Card for only $200 That’s $40 Free! Purchase $300 Cash Card for only $250 That’s $50 Free! Purchase $600 Cash Card for only $500 That’s $100 Free! 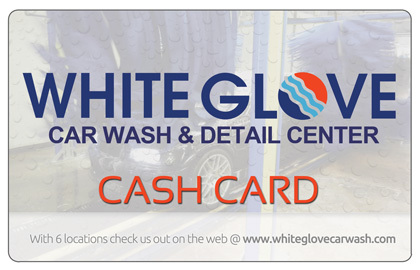 For EVERY DOLLAR you spend at any White Glove, we add 20% back on your card, when you purchase/refill $50 and up! Get $60 on your card for only $50! That's $10 for FREE! Get $90 on your card for only $75! That's $15 for FREE! Get $120 on your card for only $100! That's $20 for FREE! Get $300 on your card for only $250! That's $50 for FREE! Get $600 on your card for only $500! That's $100 for FREE! Get $150 on your card for only $125! That's $25 for FREE! Get $180 on your card for only $150! That's $30 for FREE! Get $210 on your card for only $175! That's $35 for FREE! Get $240 on your card for only $200! That's $40 for FREE!